I was confident that Portland would have enough to go and beat San Jose last weekend, but I was wrong. The Timbers were simply dreadful as they capitulated in California and I see nothing but pain for them as they head to FC Dallas. One of Portland's issues is that the redevelopment of Providence Park means that they must play their first TWELVE games away from home, and while there's an argument that they'll come on strong in the second half of the season because of this quirk, there's also a dangerous sense of momentum. Form isn't a switch that you can turn on and off. 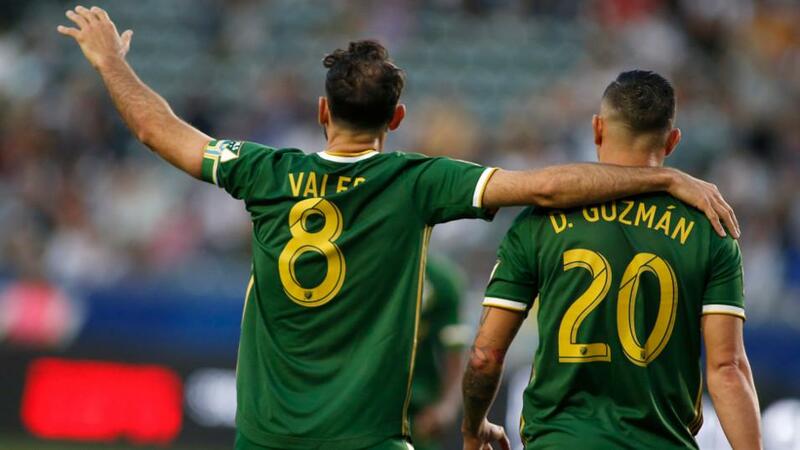 After drawing on the opening day, the Timbers have lost four in a row, scoring just twice and conceding 12 times, and they look to be lurching from weekend to weekend with no form or confidence. FC Dallas haven't got off to their usual strong start, but it hasn't been bad, and they've won two of their opening three games at home. Dallas look short of goals, but home comforts and better form mean that they're a confident selection against out of form Portland this weekend. After their punishing opening stretch of away games, there's great excitement in Minnesota as they host NYCFC in their first ever game at the new Allianz Field. It's been a long time coming, but feels like a major step forward, and given their early season form, like an affirmation of the Loons as a permanent MLS force. Adrian Heath's team have won three of their opening five games, all of those on the road, and I'd have fancied them to play well against NYCFC at Yankee Stadium, let alone at their new home, where they'll be roared on by a capacity crowd for the rest of the season. NYCFC have had an awkward start to the campaign. They're yet to win, have failed to score in three of their opening five games, and were thrashed 4-0 by Toronto in their last away game. I wasn't impressed with Dome Torrent's work last season, and that theme has continued into 2019. I know that it seems a bit obvious and dangerous to back a team playing at a new home for the first time, but there are many more reasons other than just a lazy feelgood factor to support the Loons this weekend. No excuses for going back to a familiar well for the final tip of the week, as LAFC host FC Cincinnati and there seem certain to be more goals. If you'd prefer to support LAFC conceding a goal or two on the Asian Handicap, then I would understand that, but I'll play the Over 3.5 Goals, as I think that either way, they're certain to run out heavy winners. The current form of Bob Bradley's team at the moment is terrifyingly good. They went to DC last week and blew away an outstanding team, and back at home against a Cincinnati team who might just have hit a plateau, but are capable of scoring here, I think that they'll turn on the style again. Both Carlos Vela and Diego Rossi have now scored four goals in their last two games and I simply don't think that Alan Koch's team can cope with them at the Banc of California Stadium. I understand that Over 3.5 Goals seem a little short at [2.2], but this is by far the likeliest outcome and so, as I said, no apologies for predictability and ploughing familiar ground.